1st Source is the largest locally controlled financial institution headquartered in the Northern Indiana-Southwestern Michigan area. While delivering a comprehensive range of consumer and commercial banking services, 1st Source has distinguished itself with innovative products and highly personalized services. 1st Source also competes for business nationally by offering specialized financing services for new and used private and cargo aircraft, automobiles for leasing and rental agencies, medium and heavy duty trucks, construction and environmental equipment. 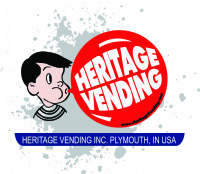 Heritage Vending is a family owned bulk vending company with over 30 years vending experience. We service bulk vending racks, cranes, sticker and tattoos, and a wide variety of new and innovative machines. Integra Document Destruction is no stranger to the secure document shredding and destruction business. Since 1988, Integra has been destroying business, residential and governmental documents in a complete, value added shredding, recycling and waste approach. Engineered to be simple and cost effective, Integra document shredding and destruction supports significant increases employee productivity. Customers enjoy a single point of contact that assures highly efficient shredding and destruction that`s handled efficiently, and with total confidentiality. With a unique and ultra-secure document shredding, destruction and recycling system, Integra takes document destruction to a higher level of security and dependability which presently serves over 16 counties in the northern Indiana and southern Michigan area. Integra Document Destruction is part of Waste-Away Group Ltd. Waste-Away Group celebrates over 60 years of providing waste and recycling service to the homes and businesses in the Michiana area. We are locally-owned and are backed by a family tradition of meeting and exceeding our customers expectations. Our long term dedication has built our commitment to quality service for our customers and our community. Waste-Away Group is a full service waste and recycling partner. Our various divisions include waste hauling, specialized recycling, document destruction and industrial waste handling. We provide our customers with creative waste solutions through new and expanded technology. Today, we operate the largest waste and recycling fleet in the Michiana area and we are the best company to maximize efficiency, minimize risk and handle the unknown. 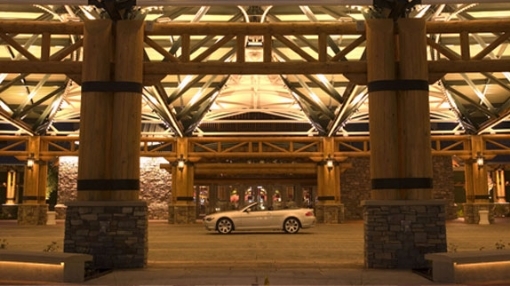 Less than an hour`s drive from Downtown Chicago, on the shores of Lake Michigan, Four Winds New Buffalo delivers an unparalleled experience of indulgence, exhilaration and endless winning possibilities. Prepare to be swept up in the excitement as you experience our action-packed games, sizzling nightlife and one-of-a-kind entertainment. Lose yourself in our luxurious hotel, enjoy headliner entertainment, indulge in our sensational restaurants including southwest Michigan`s only Hard Rock Cafe, and bask in the beautiful Lake Michigan setting while experiencing the region`s most attentive service. We, the employees of the WSBT Stations, drawing upon a pioneering vision and distinguished history, pledge to continue the spirit that has made us Michiana’s broadcast leader. We will provide the best news, entertainment and marketing opportunities, by listening and responding to the ever-changing needs of our community, our customers and our co-workers. Our story begins 50 years ago, when a young priest running a world-renowned all-male university, decided Notre Dame would get into commercial television. Some questioned 50 years ago why a prestigious Catholic university would want to get into the television business but Father Theodore Hesburgh knew then that this was going to be a very popular media and that it was the next step beyond radio and newspapers. He decided the University of Notre Dame could use a TV station to teach, and that meant the university owning its own station. WBND originally signed on the air as W58BT, channel 58, in 1990. During its first five years, the station aired regular Fox programming until 1995, when it picked up the ABC affiliation from WSJV, who dropped the network for W58BT`s Fox affiliation. They also changed their call letters to WBND that same year. During the 1990s, the station picked up a secondary affiliation with UPN. In 2002 they switched channels to 57 due to WSJV occupying the channel 58 frequency for its DTV signal, and in 2003 they lost their secondary UPN affiliation to WSBT`s UPN Michiana (now SBT2) digital subchannel. In January 2008 the station began running an 11 minute long, 11pm newscast nightly. The newscast is produced and anchored by staff at WDJT-TV in Milwaukee. 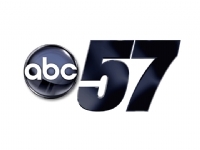 Like WDJT, ABC-57`s newscast puts emphasis on providing an early weather forecast. WBND is the third Weigel station to carry a newscast produced by WDJT, the others being their sister stations WMLW-CA and WYTU-LP. Local video is shot by photographers in South Bend and then transmitted to WDJT via satellite. In early August 2008, Weigel Broadcasting agreed to sell all three of its South Bend stations, including WBND, to Schurz Communications, the longtime owner of the local CBS affiliate WSBT-TV, for undisclosed terms. If this sale is approved by the Federal Communications Commission, WBND`s current newscast could be replaced by simulcasts of WSBT-TV`s newscasts since the station`s operations would move into WSBT`s new facility in Mishawaka (which opened in November 2008). WHME TV- 46 is part of the vision that the late Dr. Lester Sumrall received from God to own and operate television and radio stations so that Christian voices could not be silenced. It was revealed to him that there would come a time when Christian programmers would not be able to purchase airtime. Dr. Sumrall knew electronic media to be a powerful tool for evangelism and it was his vision that God`s Word be available for all to hear. Everyday thousands of viewers in northern Indiana and southern Michigan tune to WHME TV- 46 for the best known and most watched family, ministry, and sports programming on the air anywhere. LeSEA Broadcasting purchased WHME TV 46 in 1977. Since that time WHME TV 46 has been a 24hr full power Christian family television station. LeSEA Broadcasting is dedicated to serving the Michiana community with great ministry and entertaining programs for the whole family to enjoy. WHME TV- 46 looks forward to making the digital transition with the Michiana community a seamless operation by still offering the same quality of programming.